Today we are releasing three new miniatures which will be included in The Hunger Games: Mockingjay – The Board Game for all backers. One for the Capitol and two for the Resistance! Caesar Flickerman is the master of ceremonies for the Hunger Games, a position he has held for a very long time. He is perhaps the single most influential man in the Capitol after President Snow, and what he says, the people believe. Caesar is best known for his interviews of the yearly Hunger Games tributes, as well as his coverage of stories and interest pieces around the event. 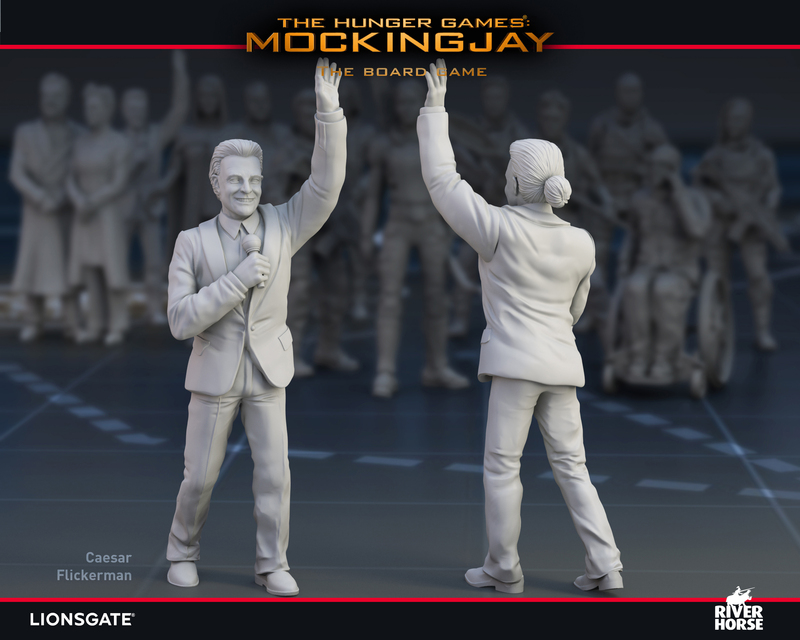 Caesar Flickerman is one of the available characters in The Hunger Games: Mockingjay – The Board Game. He is in many ways the mouthpiece of the Capitol and as a tool of propaganda is second to none. He can also disseminate misinformation and turn the people against the Resistance under the guise of wanting peace. Many people join the Resistance because they have nothing to lose. Some join because they have something to gain. Along with her camera crew and her assistants, Cressida is committed to revealing the atrocities of the Capitol. 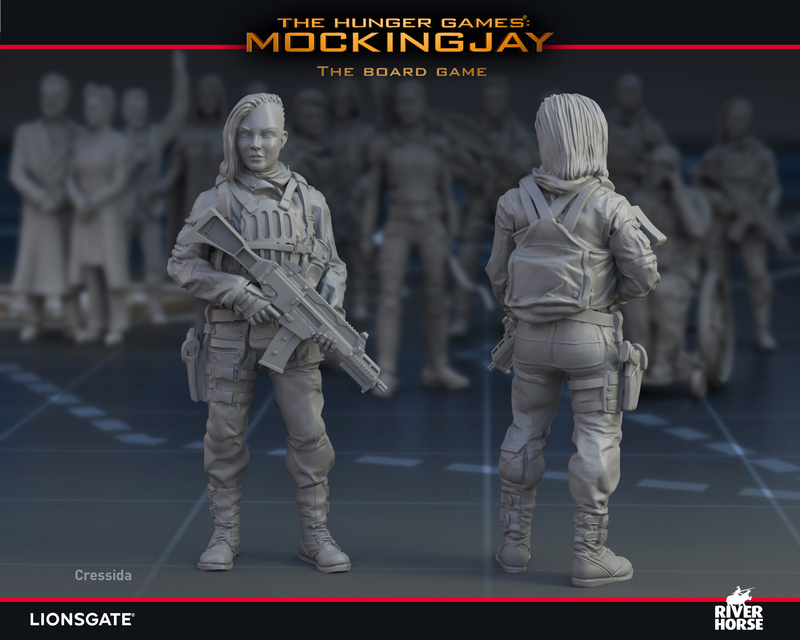 Cressida is one of the available characters in The Hunger Games: Mockingjay – The Board Game and is the character of choice when it comes to propaganda. Able to shoot any propo and willing to do anything to spread the word of the Resistance, she is skilled at increasing Resistance tokens in districts and inciting uprisings. The enigmatic Boggs is a man of few words; he prefers to let his actions do the talking. He is valued for his tactical acumen and military experience. He is willing to die for the cause, but has concerns about which course the Resistance will take. However, as a soldier, he does not have to think about those decisions. He can lose himself in the mission, and can focus on the now rather than the future. 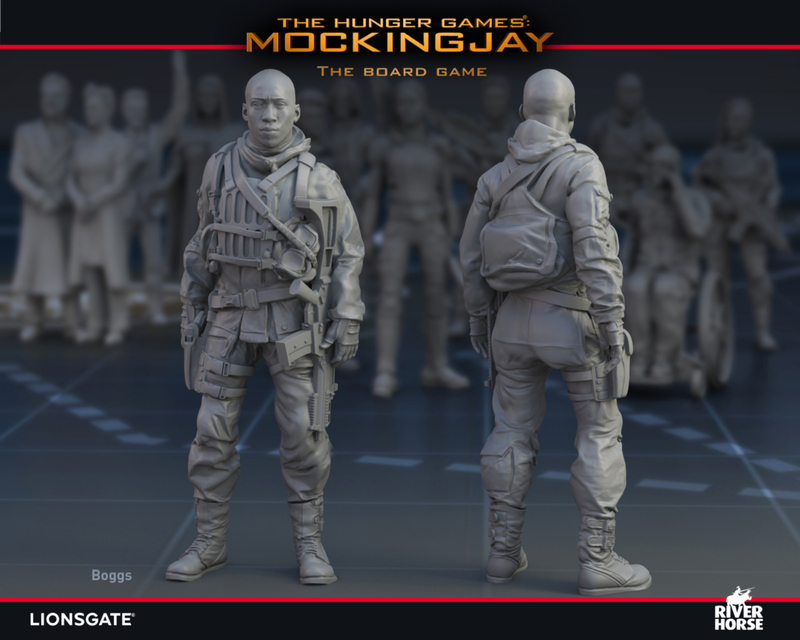 Boggs is one of the available characters in The Hunger Games: Mockingjay – The Board Game and is a master of tactical missions, able to ensure the flexibility and power of your Resistance infantry.